Florence is one of the most beautiful cities in the world to get married in. So, what do you think about a beautiful view over Florence while you are getting married? 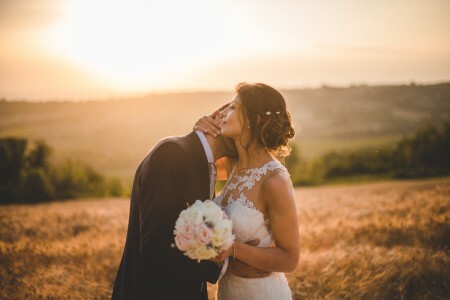 A wedding at Villa Il Garofalo is the perfect choice if you want a fantastic wedding location and unique wedding photos. The wedding of Cecilia and Federico was a very elegant one. A gorgeous civil ceremony in the garden of Villa Il Garofalo, with a breathtaking view of Florence. During the ceremony one could really feel the emotions of all the guests for the most beautiful day of these two lovers. For the wedding photos we went to the lawn of Villa Il Garofalo where I took advantage of the beautiful sunset light for emotional wedding images. 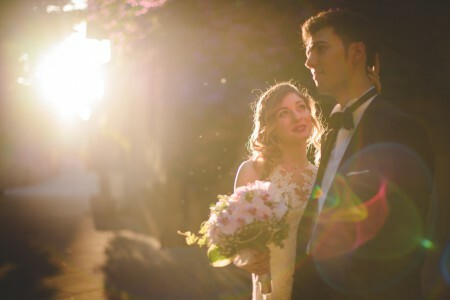 The bride and groom chose me as their wedding photographer at Villa Il Garofalo because they wanted a someone who knows how to put couples at ease and that could take the best photos in a short time. I told the bride and groom to feel free to do what they wanted, so they took a short walk in the garden with lots of hugs and intimate and spontaneous expressions. The couple photo session was very short, just as they wanted, so they had more time to enjoy the company of their friends and enjoy the party. The wedding party was very nice, with live music that entertained all the guests and made everybody dance. Thanks to my friend and colleague Jody Riva for his help. 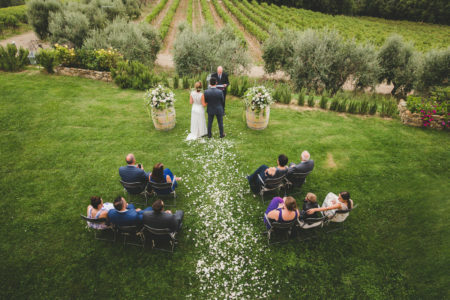 This wedding at Villa Il Garofalo was truly a unique wedding!